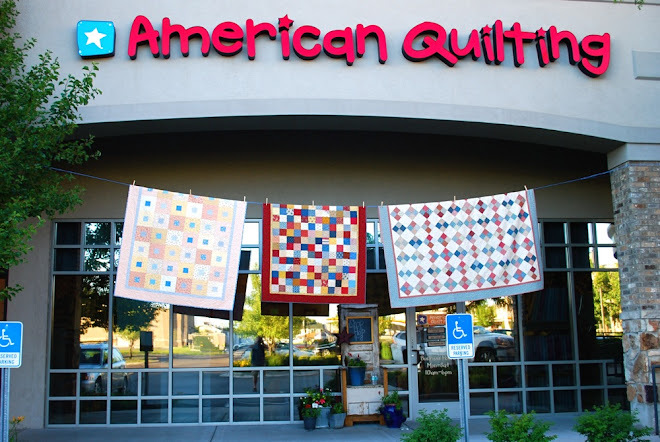 We're showing signs of Spring at American Quilting! Lots of fun new fabric collections have arrived recently including Denyse Schmidt's Hope Valley and Heather Mulder Peterson's Wildflowers. Lots of cute Valentine's Day choices. Including Sandy Gervais' adorable L'Amour collection. Heather Bailey's latest collection, Nicey Jane. Mini Muu by Lecien. Not to mention Mary Englebreit and Riley Blake! If you haven't been in for a bit, come see all that's new at AQ!